PoolGunite.com specializes in swimming pool gunite. PoolGunite.com has been providing gunite services for over 10 years to many of Southern California’s major pool builders and we are now in NEVADA!!! We pride ourselves on providing high quality timely services to pool builders of California and Nevada!!! The latest count is 15,000 pools and we are proud to be a part of every one of those projects. With our diversified fleet of equipment and talented team no job is too big or small for us to perform exceptional services. We have all the special machinery and attachments to make sure the gunite is accomplished as quickly as possible. Let PoolGunite.com to be a part of your next pool and we will show you how pros work! Our quality is second to none. 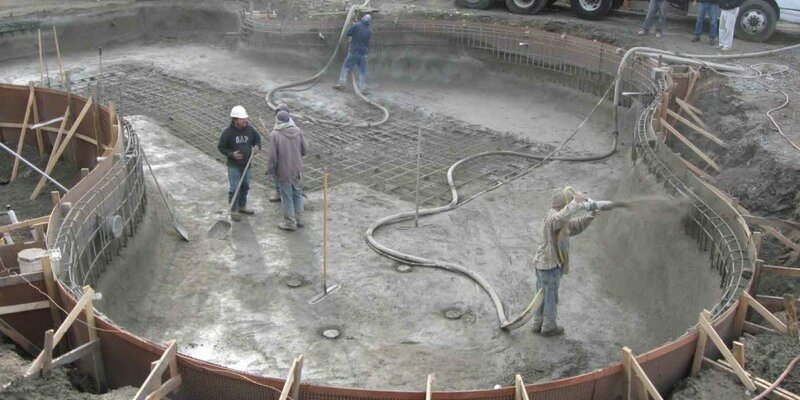 The pool gunite is the shell that will retain all of the water in your pool so it needs to be done right. Hire PoolGunite.com and the team that does your job will do it with years of experience behind them! See how we go above and beyond other gunite companies and shoot your in ground swimming pool at record speed!!! TO CONTACT US TO BID A POOL Email us at VegasPoolGunite@gmail.com TODAY!!! A copy of the engineered plan. (03) Photos of the projects current state (01) from left side (01) from right side and (01) from center.